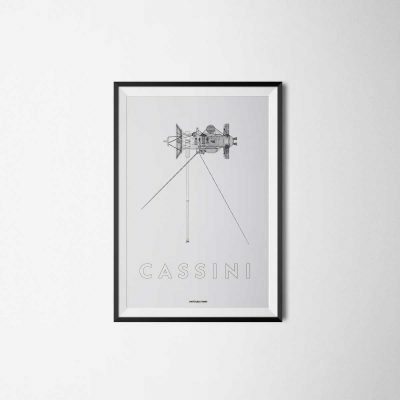 The space explorer Cassini–Huygens is illustrated in a beautiful art print. Cassini–Huygens is an unmanned spacecraft sent to the planet Saturn. It is a Flagship-class NASA–ESA–ASI robotic spacecraft. 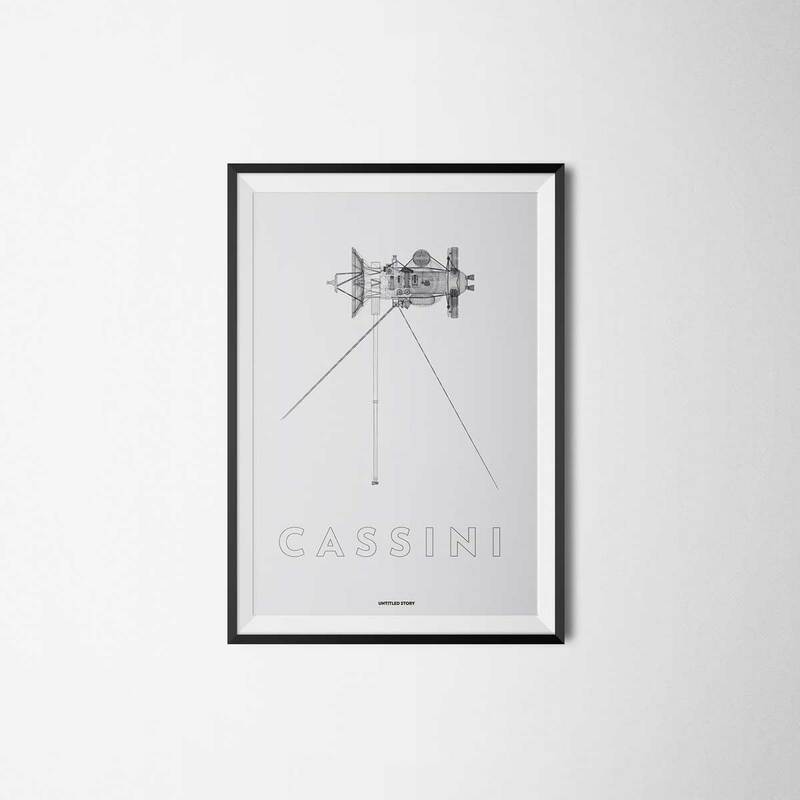 Cassini is the fourth space probe to visit Saturn and the first to enter orbit.